Being a new parent is exciting. It opens your mind to countless beautiful possibilities for yourself and your child. However, parenthood is no bed of roses; it has its joyous rewards, but practically all aspects of it can be a struggle as well, especially if you let the daily challenges take control. You can find yourself feeling insecure, fearful, and forever obsessing about decisions — always asking yourself if it’s the best to make for the welfare of your child and your family. You consult parenting books for answers, but usually, all you find are a few pieces of advice that may or may not work. The thing is, there’s no single true system for good parenting. All you can really do is give it your best shot every time, and most of the time, the best shot is really just a shot. The difficulties will always be there, but you need to keep on plodding on. When you’re getting incredibly stressed with your role, though, stop, and allow yourself some “me” time to recharge and empower yourself. One way of doing this is through guided imagery. This is a form of meditation wherein you can invent your own imagery to help you successfully deal with the difficulties you face as a parent. As you let your imagination take over, your mind will automatically edit situations so the conclusions are to your liking. Many parents who have tried guided imagery claim that the practice helps them outwork the tendency to ruminate, which is an unhealthy cycle of worry that rarely leads to anything good. Instead of ruminating, they are able to mobilize the unconscious and pre-conscious processes, and gain power in effectively accomplishing conscious goals. Guided imagery makes sure you do away with worry and all the negatives; it shushes doubts and puts you back on track so the good you want to happen will happen, they say. Guided imagery is a practice that refocuses your mind on your abilities. It can build up faith in yourself because it guides you toward good solutions that outwork limitations and those things you have no control over. 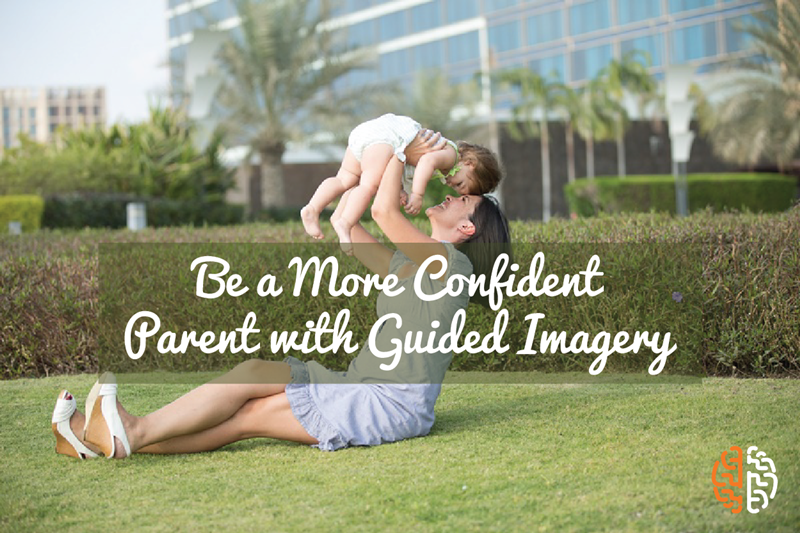 So, if you’re struggling with confidence as a new parent, one of the most reliable ways to build it up is through the practice of guided imagery. Let it help you can conjure up the solutions you need to overcome challenges, and at the same time, provide you valuable “me” time to regroup, recharge so you’ll be a happier, more fulfilled and effective parent.